Press Release from Attorney General Mike Dewine, 12/11/2015, Ohio Planned Parenthood Investigation Reveals Fetal Remains Disposed of in Landfills Also see documents below for Planned Parenthood of Greater Ohio. List of Ohio pharmacy licenses for multiple Planned Parenthood clinics. See page 2. ODH Inspection document showing one abortion complication that required additional surgery. ODH Document from inspection shows 2 abortion patients suffered abortion complications and required hospitalization. 27 RU486 abortion complications reported in Ohio on these forms. Reports show four incidents of serious complications from medical abortions at the East Columbus Central Ohio Women's Center. Includes details on abortionists including Anne-Marie Sinay. See chart on last page of article. Read 12 documented reports of complications, incomplete abortions, retained fetus, severe bleeding from abortion by pill at this location in 2016. After the 2-week follow-up, complications lasted from 2 hours to 21 days. In all but one case, a surgical D&C or suction aspiration abortion was required to finish, and one woman chose to continue her pregnancy alive. Transfer agreement with Grant Medical Center dated January 11, 2013. Agreements must be renewed yearly. Complaint listed on Ohio Attorney General's page. Planned Parenthood Central Ohio is a plaintiff in this lawsuit appeal. Report of deficiencies discovered during Feb. 14, 2013, inspection. Inspection conducted on March 8, 2011. Violations discovered. Report from inspection conducted on March 15, 2012. Violations discovered. Planned Parenthood of Greater Ohio is a defendant in this lawsuit. See page 6. 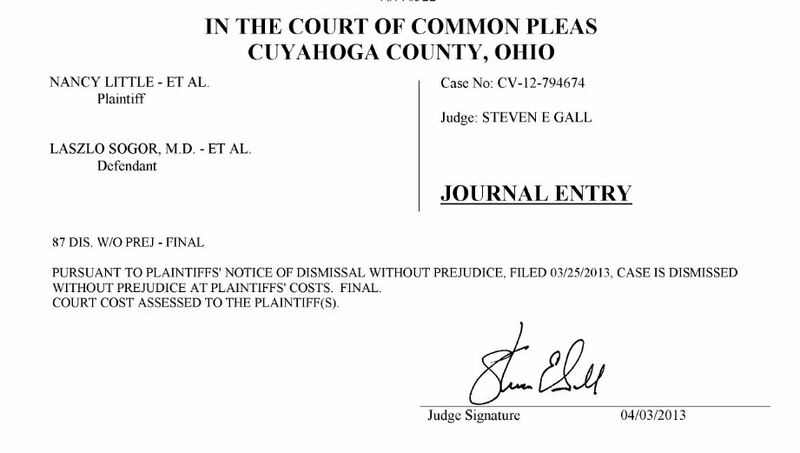 Planned Parenthood of Greater Ohio is a defendant in this lawsuit.